Long Calls: The King of the Forest is Coming! A ‘long call’ is a distinct sound that an adult male orangutan produces to notify others of his presence, attract females, and mark his territory. At times, adult male orangutans might also use long calls to voice their displeasure at human presence in their range. For the Post-Release Monitoring (PRM) team in the southern part of the Kehje Sewen Forest, hearing a long call usually means only one thing: Rafli, the King of the Forest, is coming! Rafli was last observed in mid-2018. This adult male, who was released in October 2016, is known for his sheer size and dominance. He was 24 years old at the time of his release, had well-developed cheekpads, and weighed 75 kg. Clearly, nobody would dare mess with Rafli; when he presents, other males quickly clear away to avoid an encounter or lopsided battle. Read also: BOS Foundation’s 9th Orangutan Release in Kehje Sewen Forest. Recently, on one particular day at around noon, the PRM team was resting and taking the opportunity to eat lunch when a familiar long call suddenly broke the air. “He’s back,” guessed one of our team members. After quickly assembling their monitoring gear – binoculars and ethogram – the PRM team members carefully observed the movements around them, trying to locate the direction of the sound. The PRM team then moved about 500 meters in the direction the sound was coming from. They were right! There Rafli was, sitting on the ground behind some bushes, eating shoots. Well aware that Rafli is a highly alert individual, the team moved as quietly as possible to avoid catching his attention. The team carefully followed Rafli and took notes on his activities throughout the day. Over several hours he was observed spending the majority of the time in the canopy eating forest fruits and young leaves, particularly liana leaves. He looked very healthy and actively brachiated through the forest canopy. 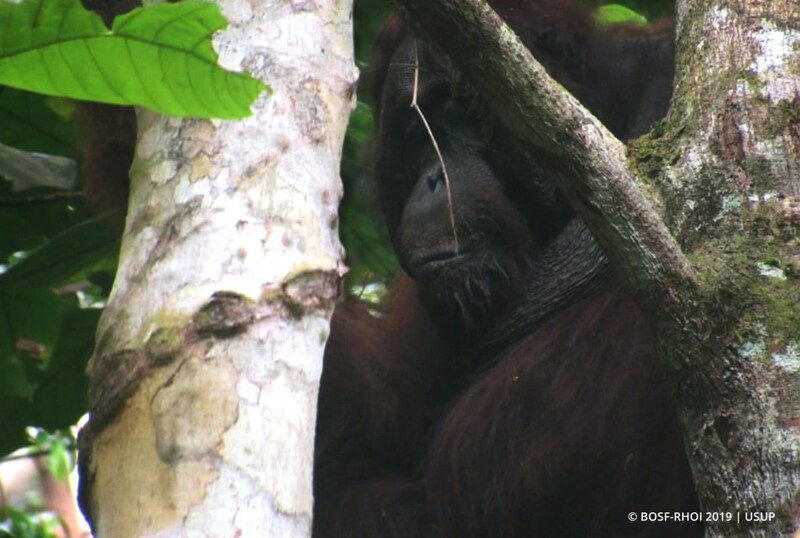 By the late afternoon, Rafli had disappeared deep into the Kehje Sewen Forest, out of sight. 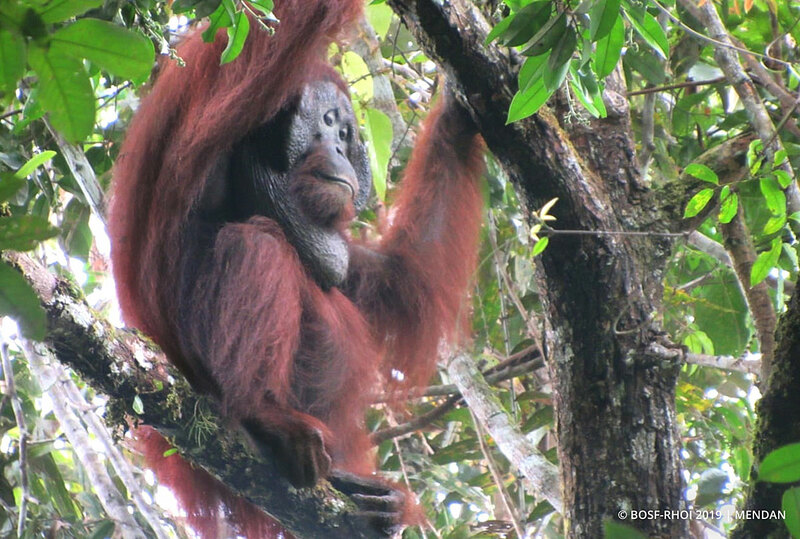 After almost three years living in the Kehje Sewen Forest, Rafli has proven that he has become a true, wild orangutan. An exceptional forager, Rafli is able to defend his territory, and has been successful in interacting with some of the most attractive female orangutans in the Kehje Sewen Forest. In many ways, Rafli truly is the King of the Forest! Read also: PRM Team Observes Rafli, Ajeng Together.